This is the 60’s exposed, a time when pop music and its associated pop culture played a crucial role in establishing the look and sounds of the era in Britain and the World. This was the time of ‘The Stones’ versus ‘The Beatles’ with fans loyal to either, but rarely to both. It was a time of musical optimism. Anything could be achieved, no limits. Bands arrived, went platinum and became global success stories. And there was no internet, no email, no photocopiers no fax machine and a transatlantic phone call, costing £’s per minute had to be booked! So with communications like this, just how was this achieved? In my mind it was a combination of several qualities. People believed it would happen, so it did. These are all qualities as great today as they were then. And all this energy is captured in this fabulous exhibition of photographs in London’s National Portrait Gallery, running until 24 January 2010. 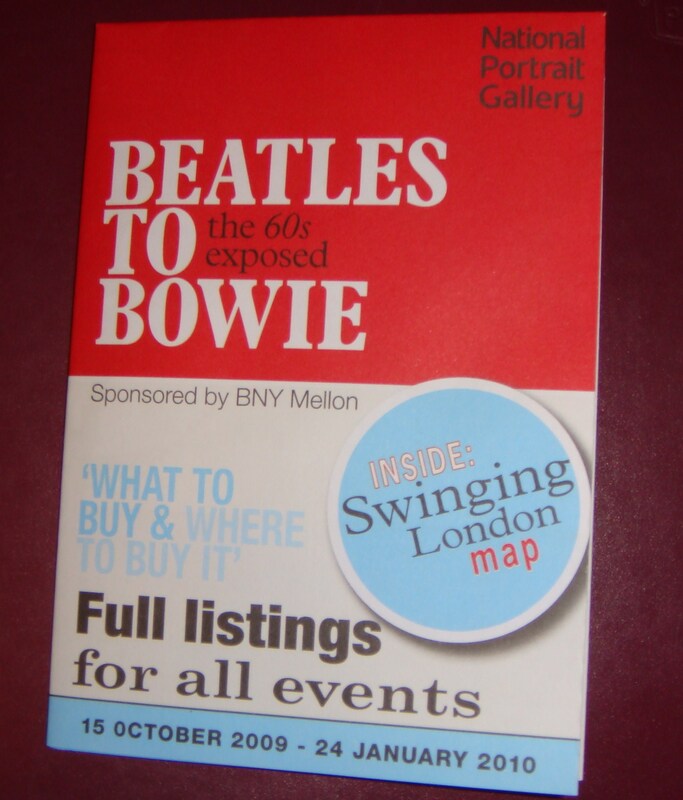 This exhibition is superb; from Bill Zygmant’s Bee Gees, to two marvellous Bailey portraits of the Rolling Stones. Neither of which would have been heavily re-touched and both with that wonderfully creamy texture and depth that comes from using film. This is the true art of photography pitched up against today’s science of the image. There’s no cheating; nowhere to hide and it’s real – we can all learn from this. This entry was posted on Friday, December 11th, 2009 at 10:48 am and is filed under Uncategorized. You can follow any responses to this entry through the RSS 2.0 feed. You can leave a response, or trackback from your own site.